Aaron McWhorter grew up in Heard County, Georgia working on the family dairy farm. In 1969 Aaron graduated from West Georgia College with a BA in history and, in 1987, a Master’s in education and administration. In 1972 Aaron returned to work on the family dairy farm until 1985 when he started his turfgrass company, North Georgia Turf, Inc. which has grown to four locations in North Georgia. In 1991, Aaron started another company, Sports Turf Company, Inc. to meet the growing athletic field construction business in Georgia. It has grown into an organization that is recognized as the preferred contractor for high-quality construction projects for colleges and universities, city and county municipalities, and public school systems throughout the Southeast. Aaron and his wife, Linda, have three children, Mark, Merett, and Natalie, all active in the family businesses, and six grandchildren. Ken Morrow grew up on a small farm in northwest Alabama where he recognized a love for farming and agriculture. He was active in 4-H and later in FFA where he served as a state officer. 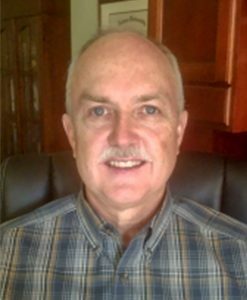 Ken graduated from Auburn in 1975 and began a farming operation in his home town; two years later he returned to Auburn and earned a Master of Science degree in Agricultural Economics. UGA CAES College Advisory Council (Chairman). Ken was also appointed by Governor Perdue to the Governor’s Agriculture Advisory Commission and the Governor’s Environmental Advisory Council. He is a recipient of the Medallion of Honor from the University of Georgia College of Agricultural and Environmental Sciences. Ken and his wife Pam enjoy spending time with their sons and grandchildren. 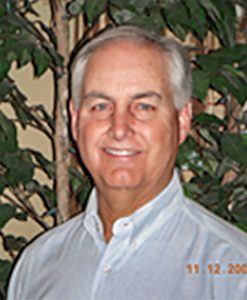 David Doguet has over forty (40) years of experience in the turfgrass industry. He began his career as a manager for Milberger Turf Farms in Bay City, Texas in the late 60’s. He then started Quality Turf Grass in 1978 with St. Augustine and Bermudagrass production across Texas and worked on research on Zoysia and Buffalo grasses. In 1988, Quality Turf was sold and in 1989, David and professional golfer Ben Crenshaw started a new grass farming venture, Crenshaw and Doguet Turfgrass in Austin, Texas to develop new grass varieties that would meet the needs of the future. 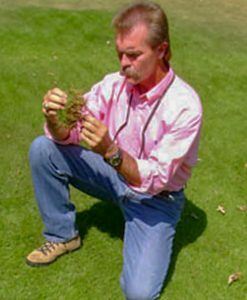 After the sale of CDT in 1995, David began a new turf farming operation, Bladerunner Farms, Inc. in Poteet, Texas where he initiated a zoysiagrass breeding program that has become the worldwide leader in improved zoysiagrasses. David has continued to work with several university systems through different types of grants, along with participation in the National Turfgrass Evaluation Program to better understand the strengths and weaknesses of the grass varieties he has developed. Through Bladerunner, David has provided turf to some of the most prominent commercial, residential and golf related projects in the state of Texas. Today, David is an internationally recognized leader in the development of specialized zoysiagrass varieties. David is a two-time past president of the Texas Sod Producers and has also been president of Turf Producers International. Bill Carraway’s affinity for agriculture began at an early age influenced by his grandfather and father, both of whom worked for the Department of Agriculture. 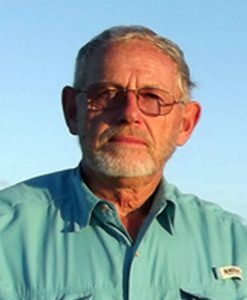 Throughout high school and college, Bill worked in the landscape and nursery sectors of the green industry in the metropolitan Atlanta area. While studying Ornamental Horticulture at Gwinnett Tech and then General Agriculture at the University of Georgia, Bill founded Gwinnett Environmental Services. As a professional landscape management company specializing in commercial and industrial landscapes, Gwinnett Environmental operated from 1978 until 1988. In 1988 Bill began his career in the turfgrass production industry by joining Southern Turf Nurseries, based in Tifton, Georgia. 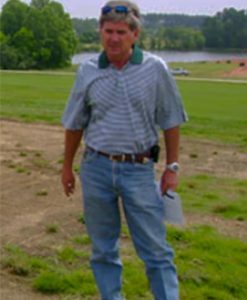 In 1989 Bill was named Director of Golf Course Sales for Southern Turf’s Florida and Caribbean grassing operations and relocated to Lake Wales, Florida. In 1990 Bill also became General Manager of all Southern Turf Florida sod and sprig farming operations. Producing over 750 acres of bermudagrass, Bill’s farm was the only Crop Improvement Certified farm in the entire state of Florida. Returning to Georgia in 1993, Bill became Southern Turf’s Southeastern Sales Manager for Golf. In 1995 he left Southern Turf to help build Select Golf & Turf, specializing in golf course grassing, sports field construction, and the production of Certified turfgrass. Bill joined The Turfgrass Group in 2004 as Vice President of Sales and Marketing. Bill and his team are responsible for all production licensing, as well as state turfgrass certification compliance, field inspections for genetic purity and all marketing efforts. Bill and his wife Robin live in Monroe, Georgia and have three grown children and six grandchildren. In his more than 30 years at the University of Georgia, Dr. Elsner was best known for developing procedures and guidelines for genetic purity inspections of turfgrass sod and/or sprig production fields. Dr. Elsner was instrumental in the movement in the turf industry toward Certified turfgrasses to ensure genetic purity. Dr. Elsner developed and published packaging procedures for turfgrass sprigs to prevent excessive heating. His work in this area helped to establish him as the expert in shipping turf internationally. Teaching, Research Appointment, University of Georgia, Crop Physiology, Weed Science 1980-1981. Extension Specialist Soybeans, University of Georgia 1981-2001. Georgia Seed Development Commission, October 2001. Published author and recognized authority in turfgrass cultivation. Grant graduated with a BS in Environmental Horticulture with a focus in Turfgrass Management from Abraham Baldwin Agricultural College in Tifton, Georgia. 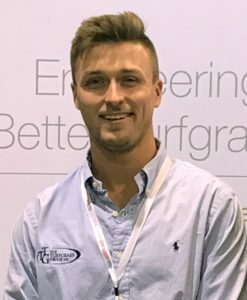 While attending college, Grant completed numerous internships throughout the United States in order to familiarize himself with challenges that come with growing turfgrass in different climate zones as well as the nuances of the golf and sports turf industries. Prior to joining The Turfgrass Group, Grant completed a summer internship in 2015 at Powder Horn Golf Community in Sheridan, Wyoming, the top-rated golf course in the state. He had the privilege of interning for the Miami Marlins and St. Louis Cardinals during their spring training at Roger Dean Stadium in Jupiter, Florida. He gained valuable experience serving as an intern for the Jupiter Hammerheads (2016), RS3 Turf, and Round Rock Express (2017). Grant currently resides in Oconee County, Georgia.